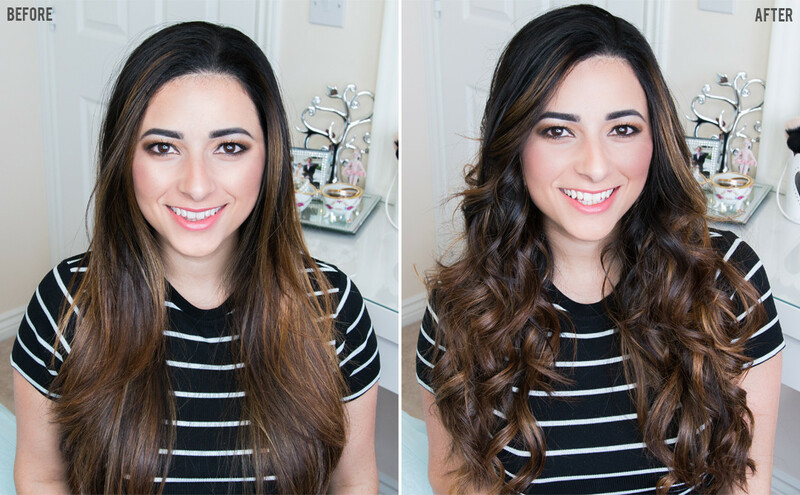 We’re off to Brazil on an early Summer holiday, so I’ve been thinking about Summer for quite a while and this has prompted me to create a LOOSE BEACHY WAVES tutorial using the BaByliss Diamond Waves. I’ve been obsessed with curling my hair ever since having it coloured recently, and my latest favourite hairstyle is this messy, textured and natural-looking beachy hairstyle. What I like the most about this look is how low maintenance it is, which is ideal if you’re on a beach holiday with the humidity and all. An intentional messy hairstyle hides a multitude of hair sins! The BaByliss Diamond Waves is the perfect tool for the job because the barrel is quite narrow, so the waves or curls created can be very defined, and when loosened with your fingers, it gives a lot of volume. I mean A LOT! Probably the most visually interesting feature of this wand is the spiral barrel, which makes it easy to create natural-looking waves. The ceramic barrel is infused with diamonds, and that helps to add shine to your waves, and I also found it leave my hair feeling very soft to the touch. The BaByliss Diamond Waves has 5 heating settings, so if you have fine hair, the lowest setting will probably work well for you, but if your hair is thick and coarse like mine, maybe use the highest setting in order to help the curls to last a bit longer. I won’t spoil the tutorial, so if you want to know all of my tips for creating beautiful beachy waves, press the play button below or click here to watch my video tutorial. I highly rate the BaByliss Diamond Waves, especially for creating a loose beachy waves hairstyle. If you’re new to hair curlers and wands, you might also like this, as I found it easy to follow the grooves on the wand to guide me through the process. What’s your current favourite hairstyle? Have your tried the BaByliss Diamond Waves? 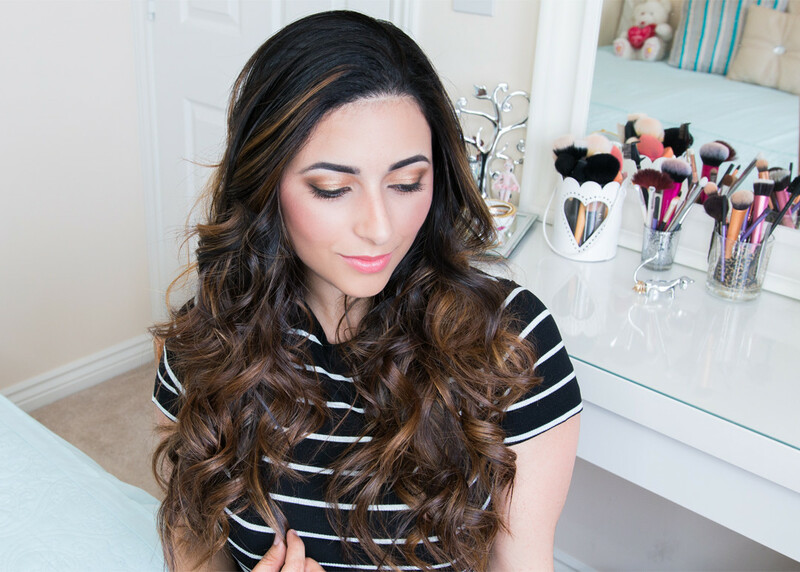 Did you like my loose beachy waves tutorial? Please let me know on the comments below! * This post is sponsored by BaByliss. Soooooo beautiful! You’re making me really regret cutting my hair shorter now!